Robot kits are amazing and there are so many to choose from! They range from simple line following kits, which do not require programming right through to ones that you build completely from scratch, including all of the circuitry etc. 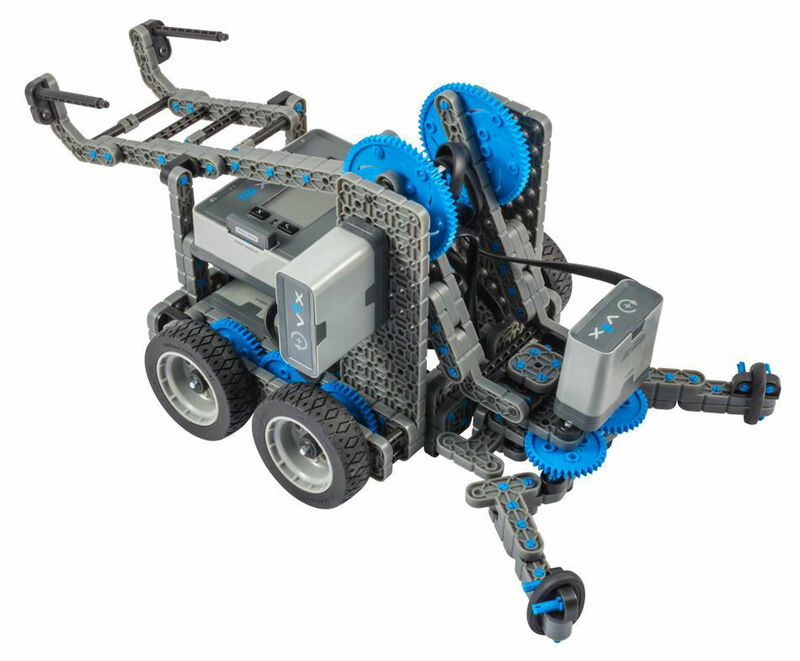 On this page we will be looking at a range of programmable robot kits. We will look at their ease of use and how much scope they offer in terms of learning and progression. If you are lucky enough to have one of these classic robot programming kits, hang on to it! 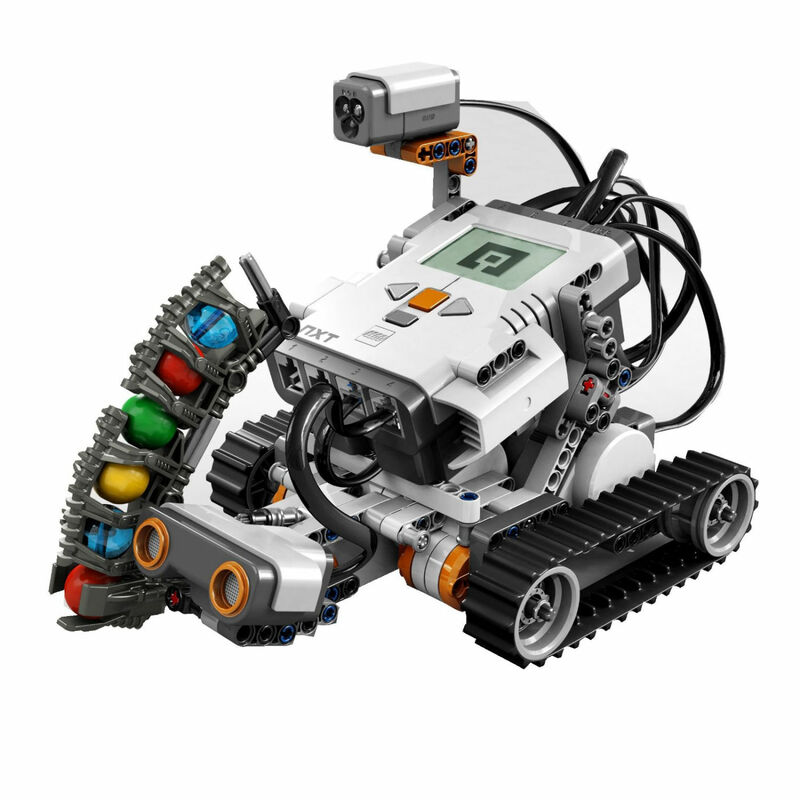 Lego Mindstorms NXT is our all time favourtie programming kit, both for schools and kids at home. Because it is perfect. That is not something that we say lightly or very often. It can be used for children aged around 7+ right up to KS4 and beyond. The lego block software is intuitive and easy to understand. It has blocks for maths operations, random functions and if statements, so there is so much scope for what can be done. It is easy to build up a progressive set of activities or lessons and once the lego software has been fully exploited, it also offers the option of using RobotC. 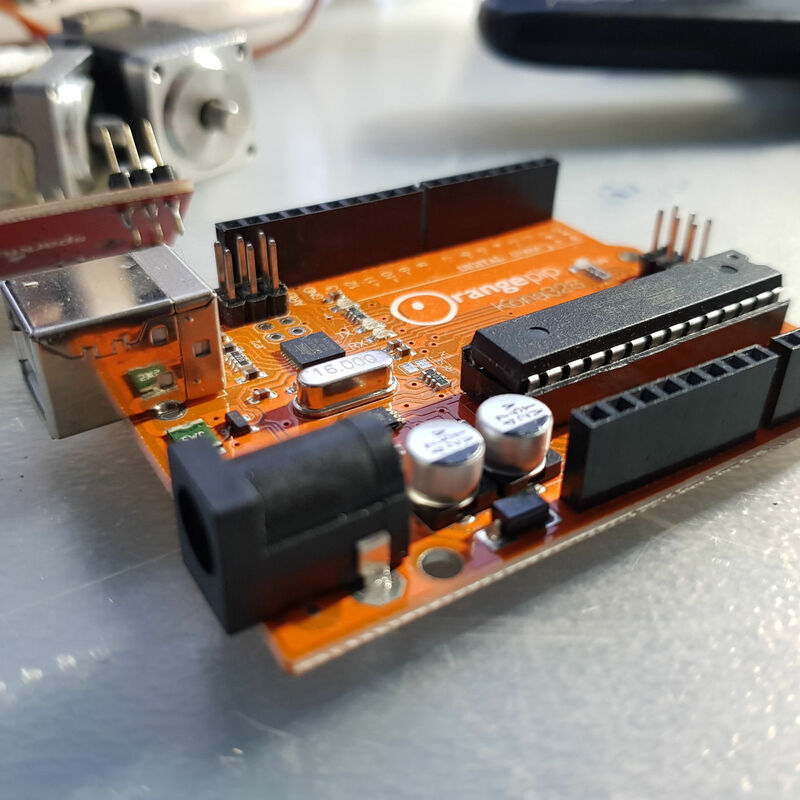 There are some firmware hacks as well that allow you to use this kit with scratch and various other kits and software, so its also a good kit for those curious 'I need to push boundaries' type of people. On the bright side, we do have a set for you to hire. If you are interested, please do get in touch. We will be writing a full review on this soon. We personally haven't used this for teaching yet, however it seems to be hugely popular amongst parents. 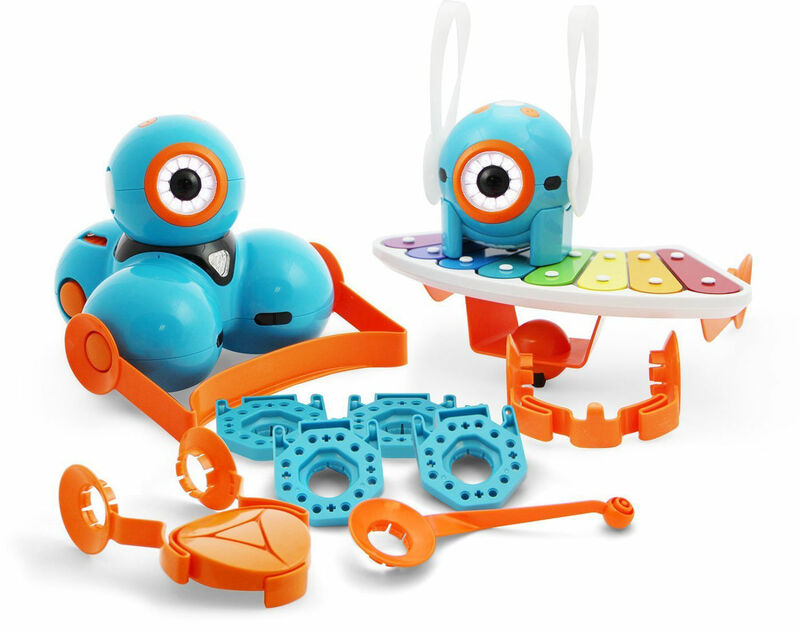 It looks fun - althought the eye does creep us out a little bit!- but its colourful, it has a range of apps for programming it with and some very cool accessories. Tech Advisor have written a very thorough review which you can find here. This is one of our favourites, particulary for teaching KS3 and KS4 students. We have also used this extensively with all girl groups and have found it to be highly engaging and exciting for them. One of the students we taught was so inspired that she has been saving her pocket money and investing it into a arduino powered, led reactive coffee table! Its great for making robots, and also any project where you want to control lights, motors and sensors. Some of our students have made things like a cycling jacket, with indicating arrows on the back. The purpose of this was instead of raising an arm to indicate, the user simply had to press a switch on their wrist and an arrow would flash on their back to show which way they were about to turn. We've had students make a hand that plays rock paper scissors, light reaction games, button press counters and so on. Our full review for using this kit in school is available here. VEX IQ is a direct competitor to the Lego Mindstorms EV3. This makes it quite interesting. It has more input/output ports, works with a modified version of the Scratch programming software, making ideal for primary and secondary schools who use scratch already. Like Lego, it can also be programmed with RobotC and also python which ticks a lot of boxes for GCSE computing. Our classroom review for schools is available here, we will also be digging deeper at a later date and look more at the python option.